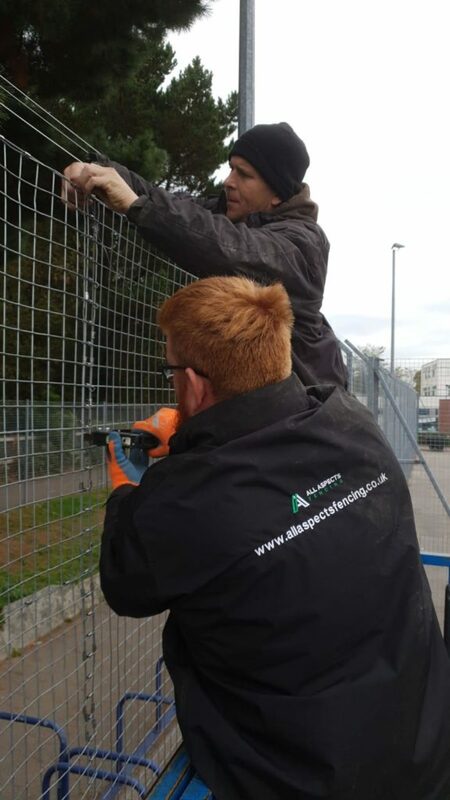 All Aspects Fencing Limited are more than happy to offer Weld mesh fencing for Security or in around your business’s to secure an area, i.e. 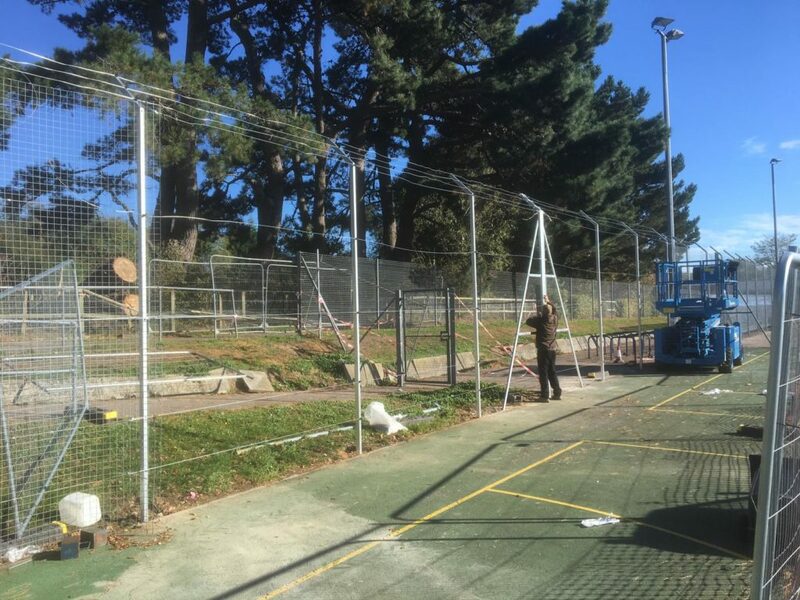 tennis courts etc. 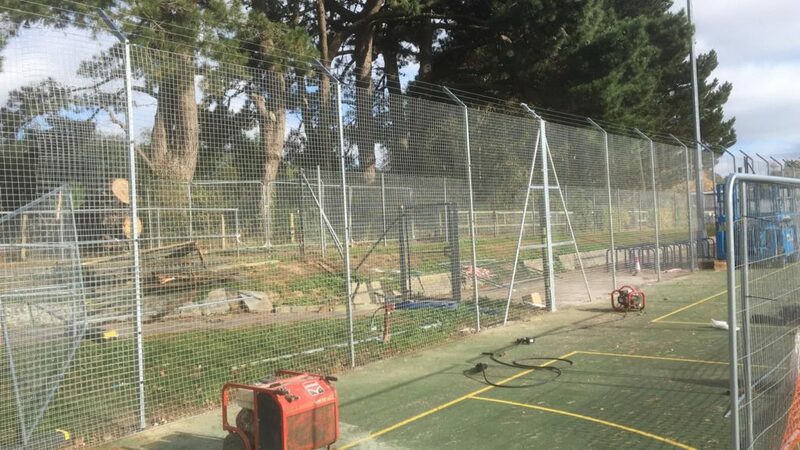 Weld mesh fencing can come in different heights to suit your needs and different options of sizes within the weld mesh can be discussed on any site visits. 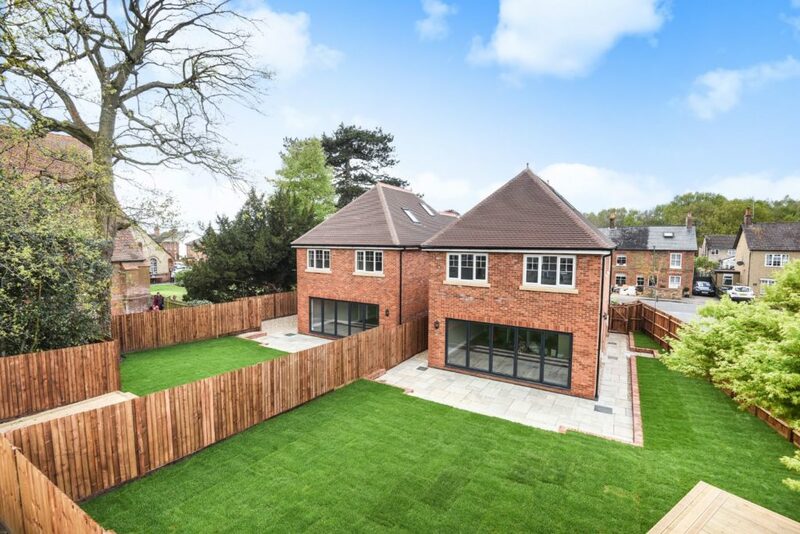 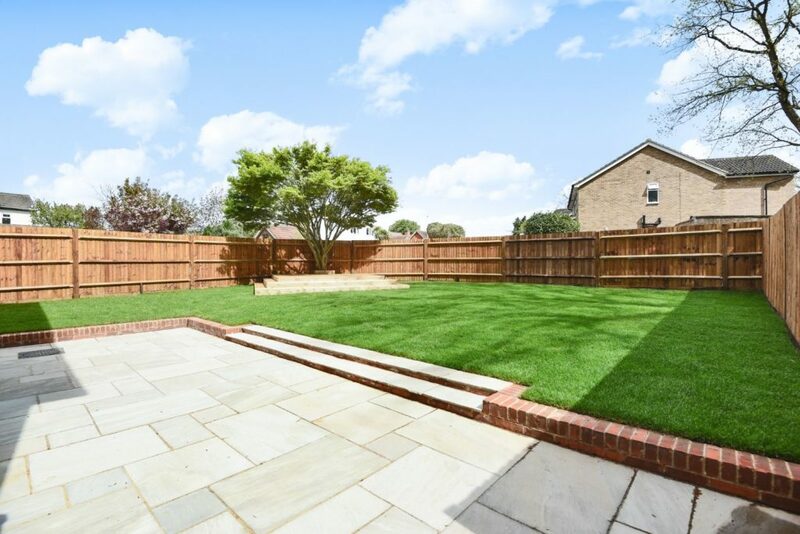 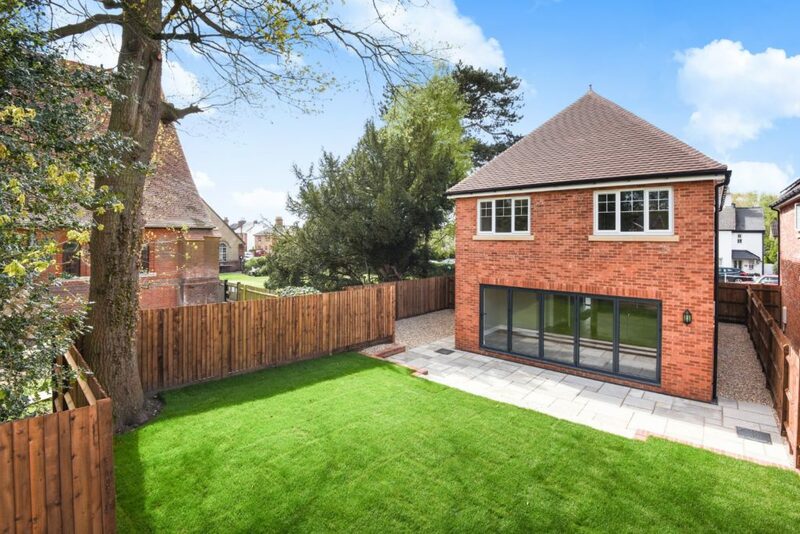 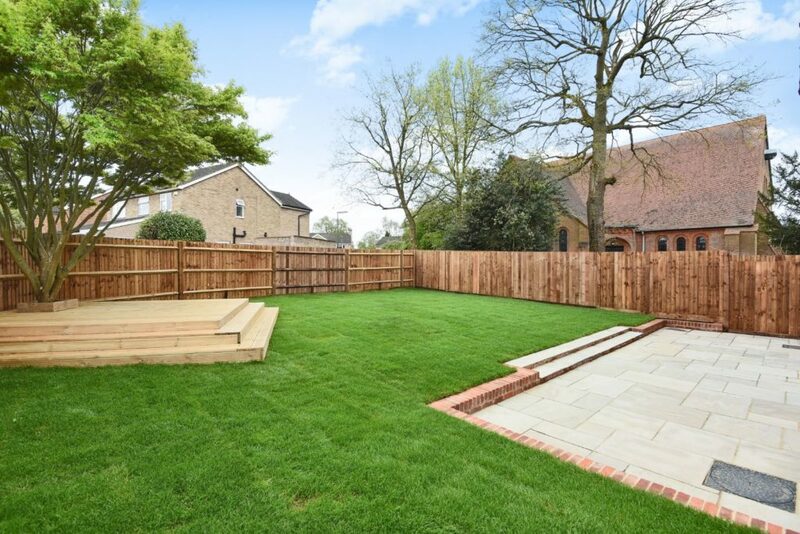 All Aspects Fencing Limited will happily create the garden you aspire to with your New Build projects. 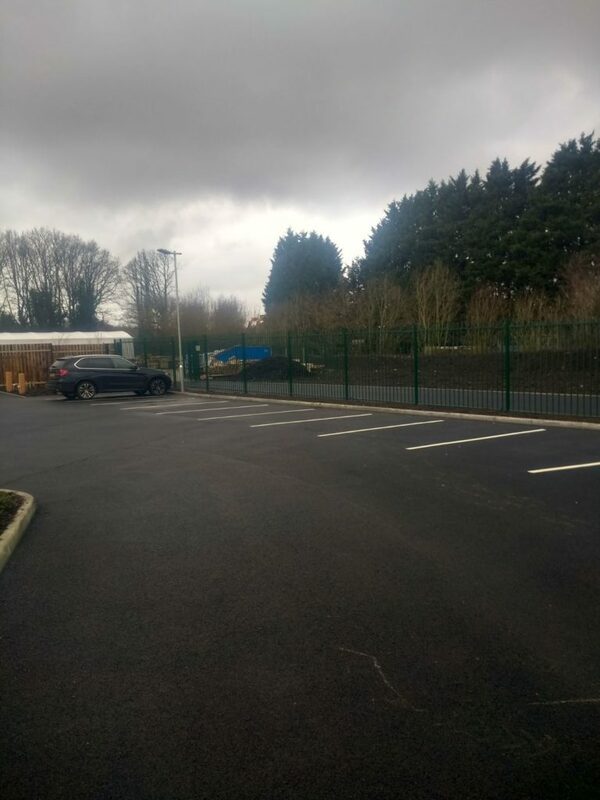 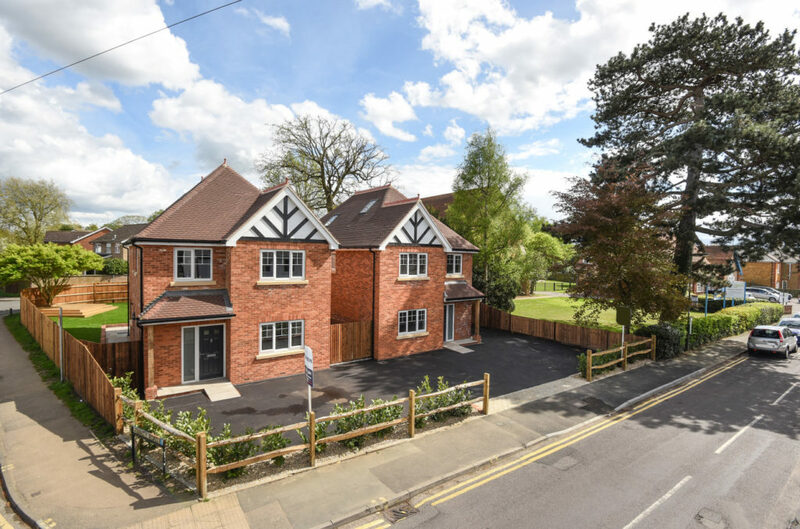 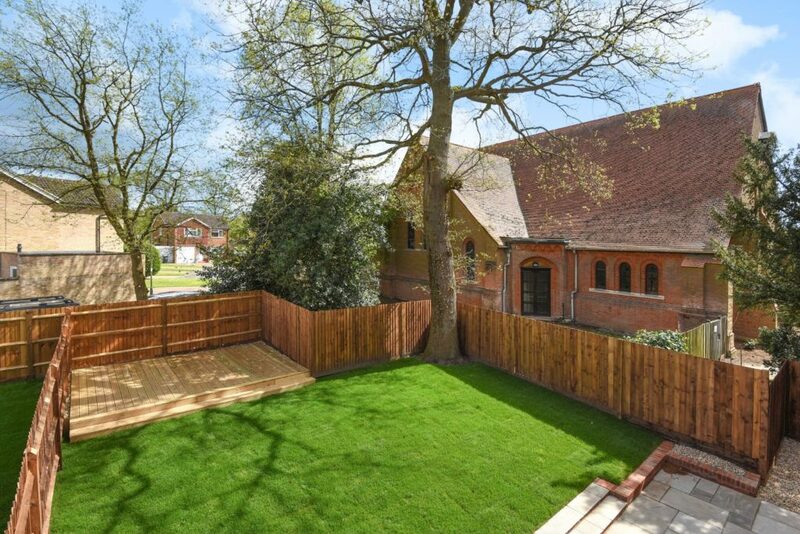 As with the one shown we erected the close board fencing, cleft rail, built two new decking areas, turfed the lawn and planted the bushes next to the cleft rail. 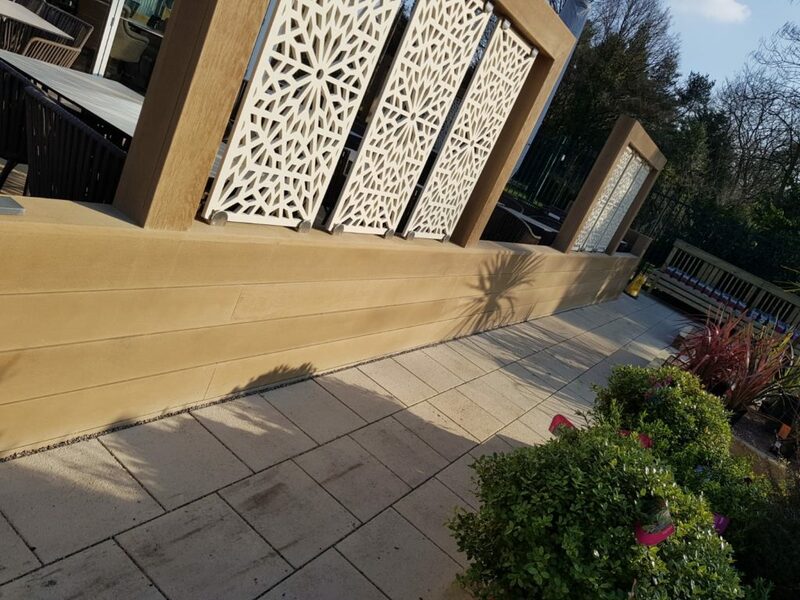 We can also do patio work, (although credit to another company for the patio shown in these photos’). 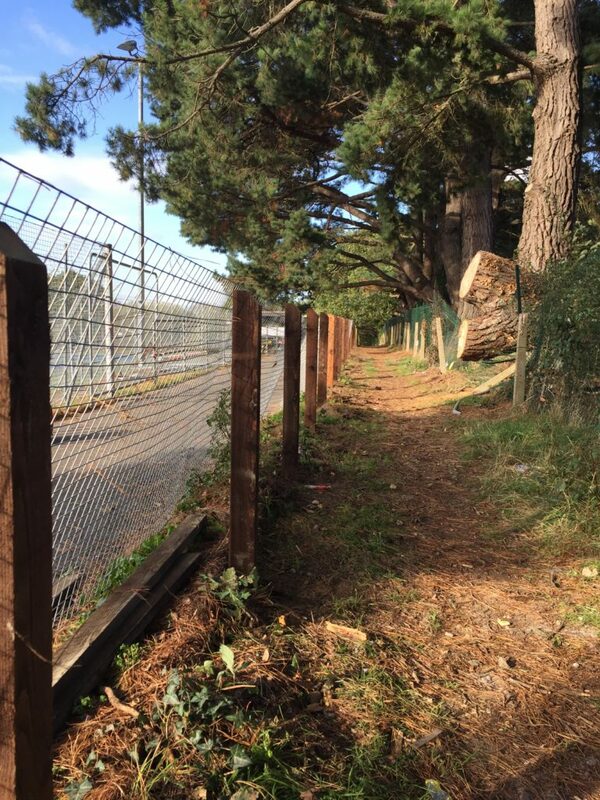 If you would like All Aspects Fencing limited to come and help with your New build plans please contact us. 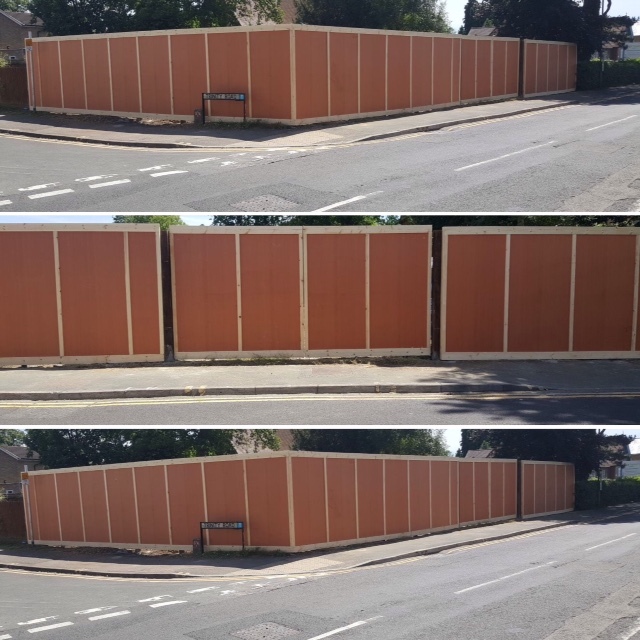 All Aspects Fencing Ltd offer Hoarding to commercial buisness that have sites they need to secure. 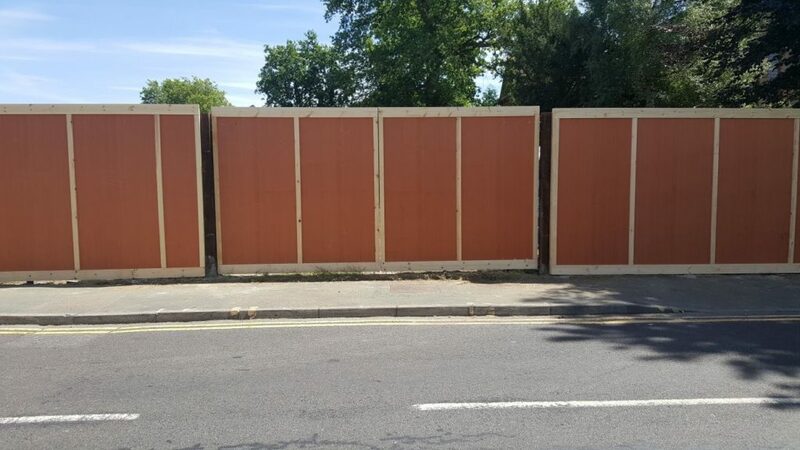 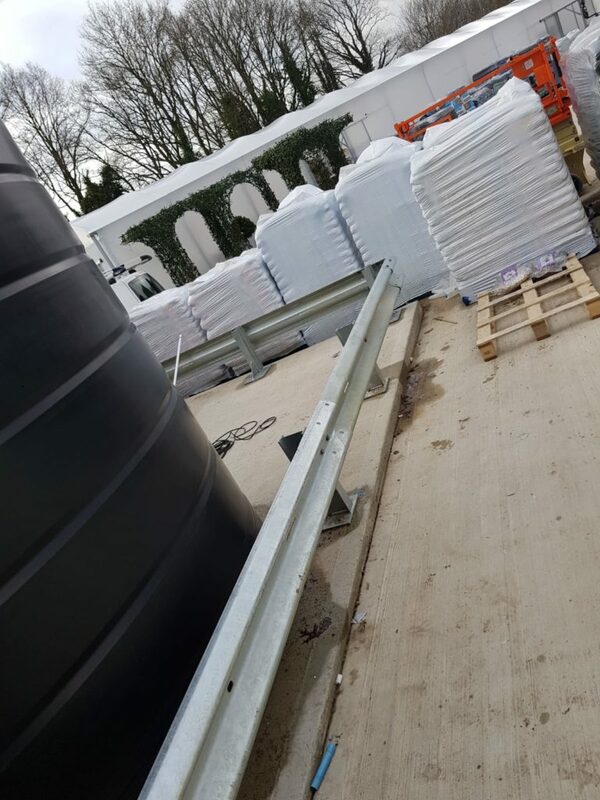 Our Hoarding is custom built to your needs, which includes Double driveway hoarding gates, for ease of access for your staff, and visitors alike. 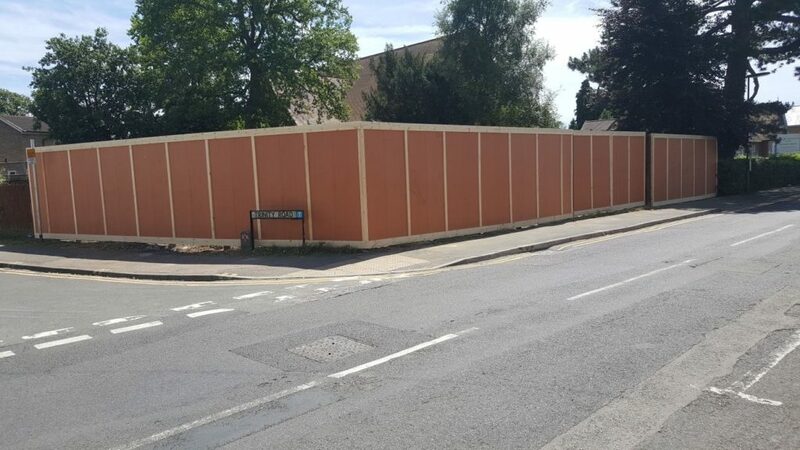 If you would like All Aspects Fencing Ltd to visit your site and quote for your hoarding please contact us. 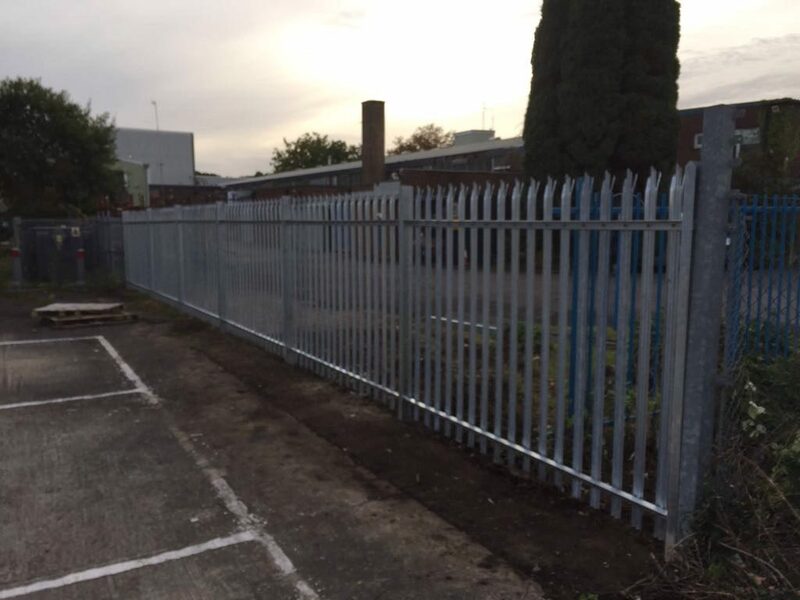 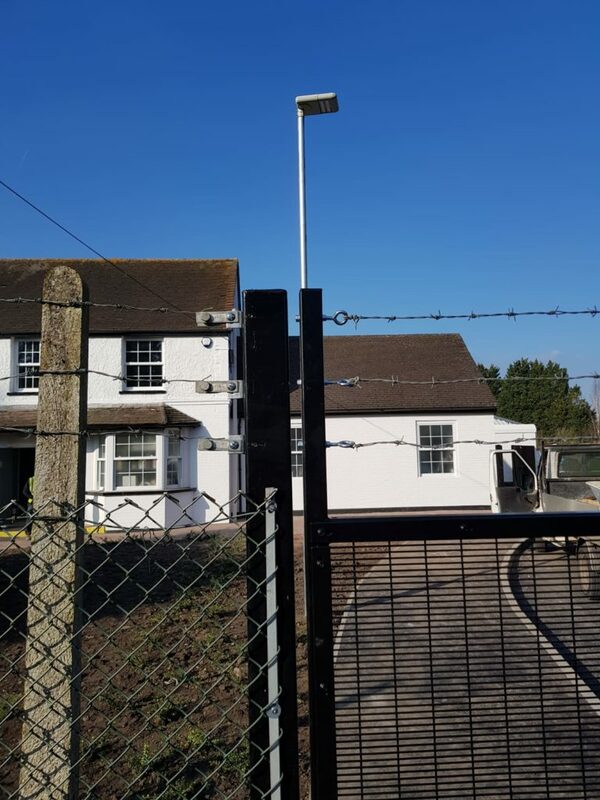 All Aspects fencing Ltd offer security fencing to commercial buisness that have sites which need securing. 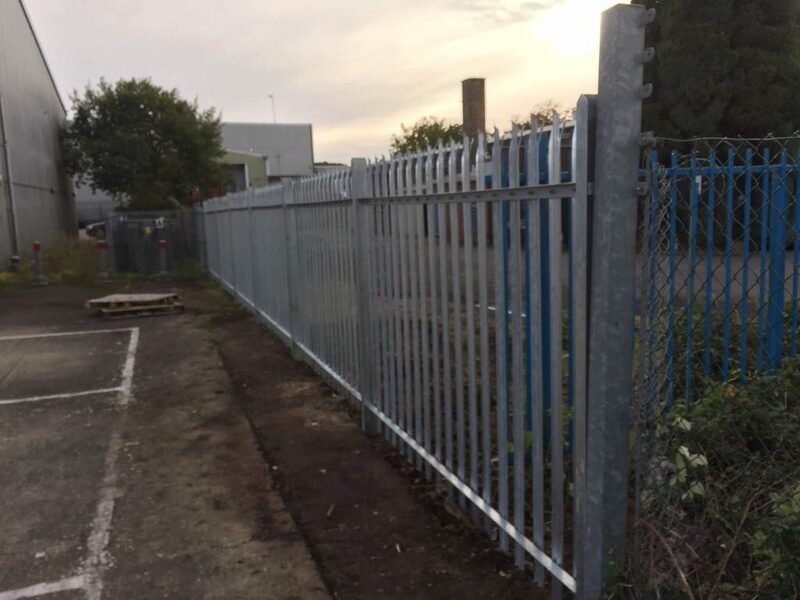 Our security steel palisade fencing is strong, secure, durable and cost effective. 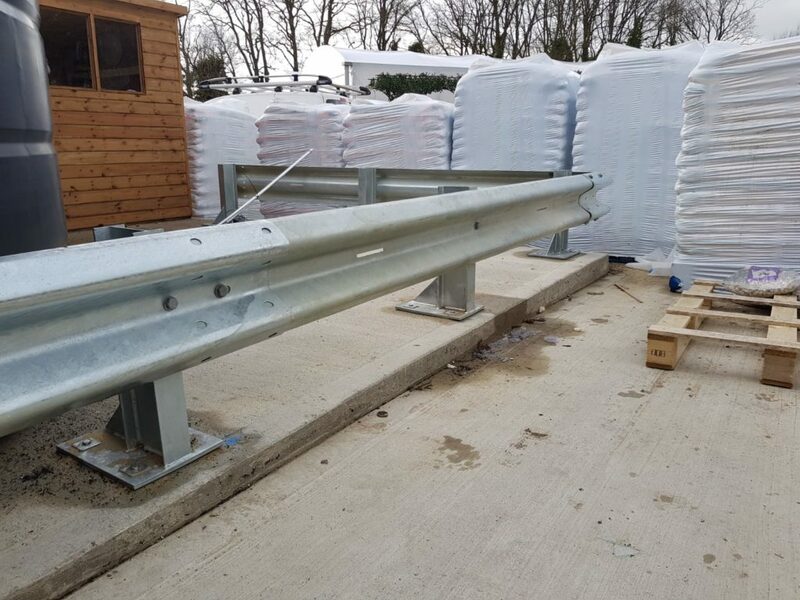 We can offer fence pales in either ‘W’ or ‘D’ sections. 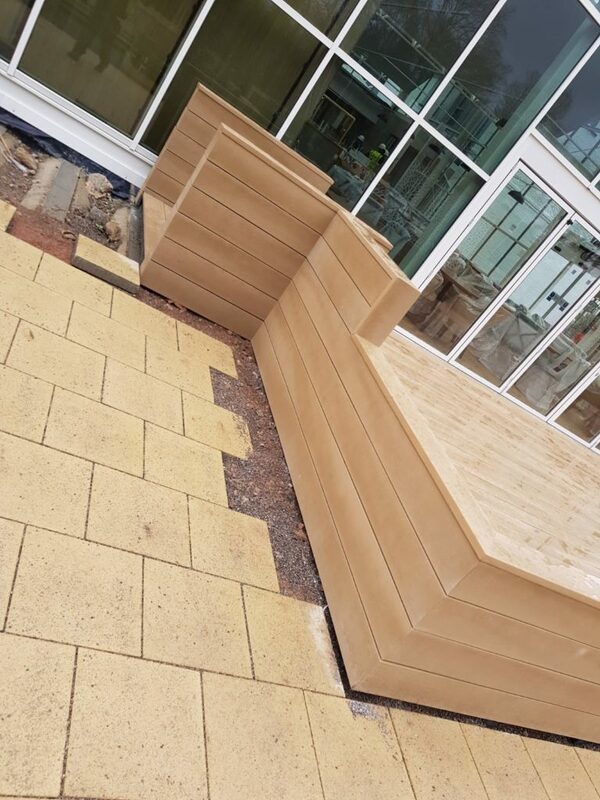 Our steele palisade fencing can be triple point or flat top. 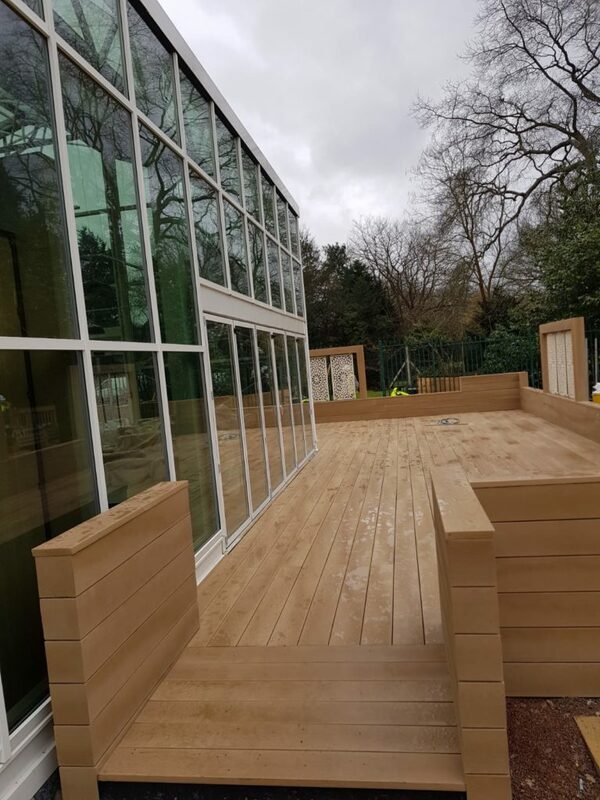 We can accomodate to a wide variety of heights to suit our clients needs. 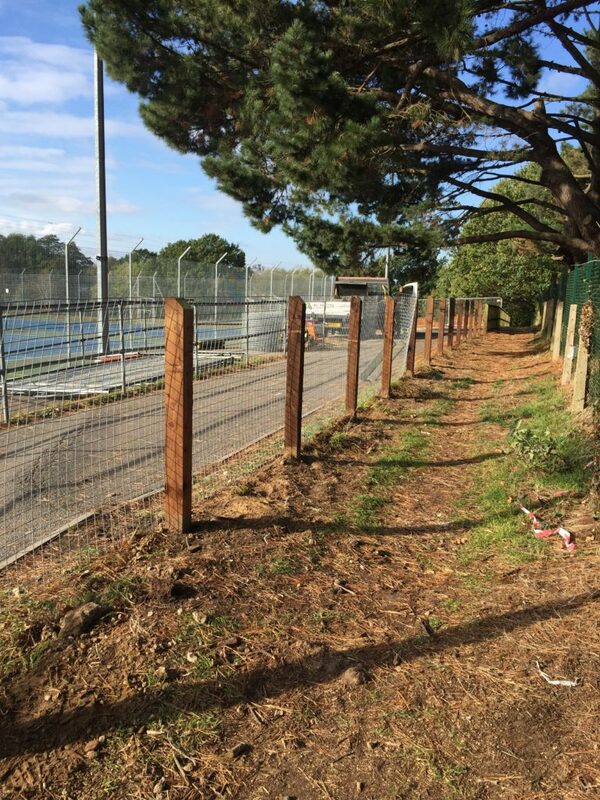 Please contact All Aspects Fencing Ltd for advice, recommendations and quotations. 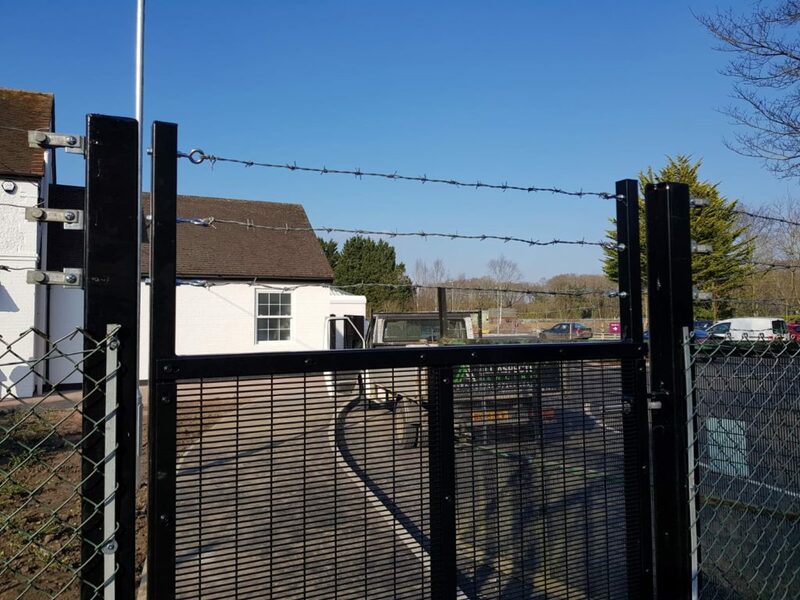 A Security pedestrian gate with a sliding bar lock and 338 weld mesh with 3 strands of tension barbed wire. 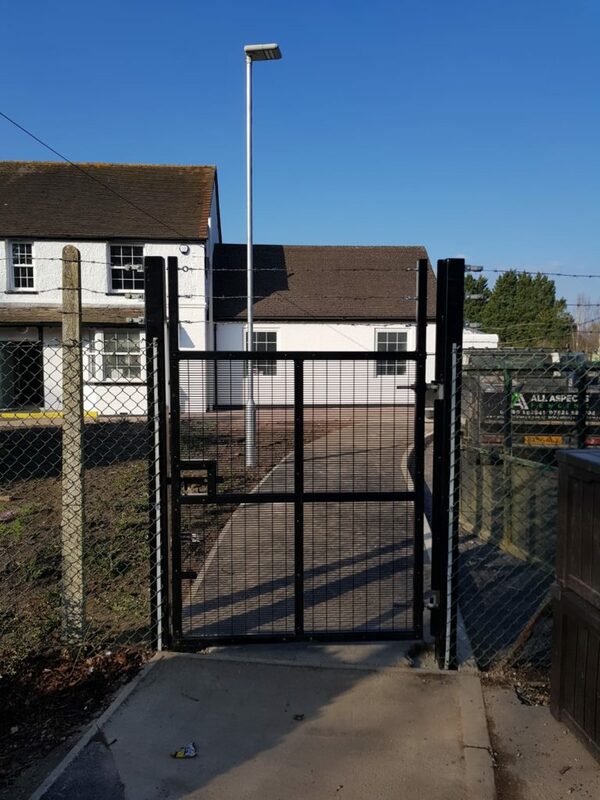 Just an example of the gates we can install for security on your site. 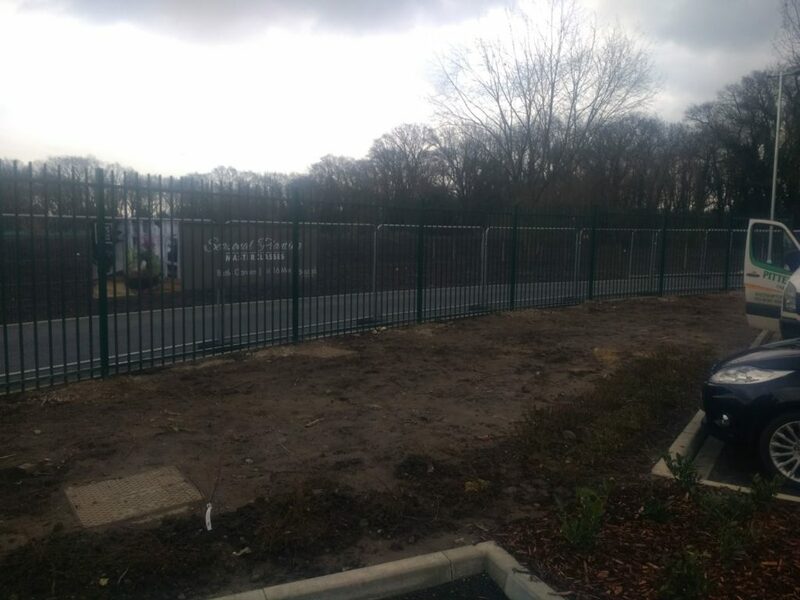 Another example of a fencing we can advise install on your site. 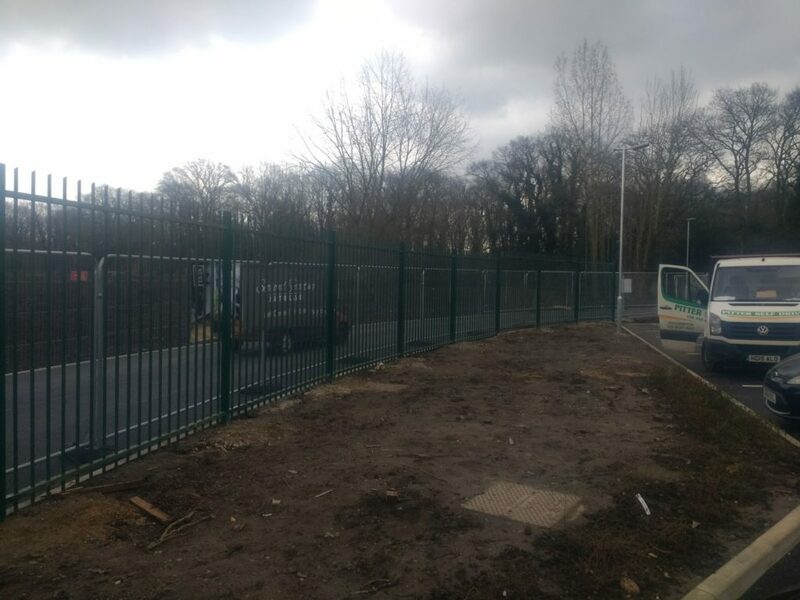 Another example of a fencing we can advise and install on your site. 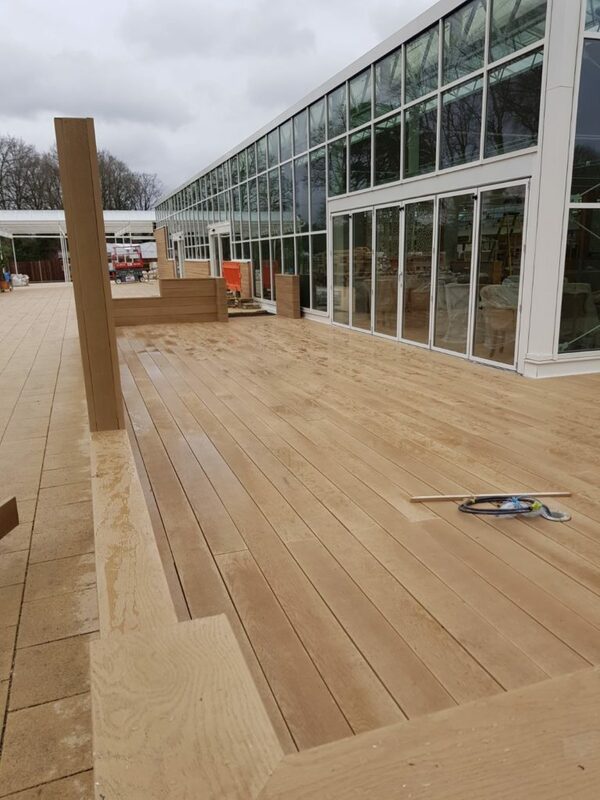 We can recommend, supply and install composite decking for your site needs. 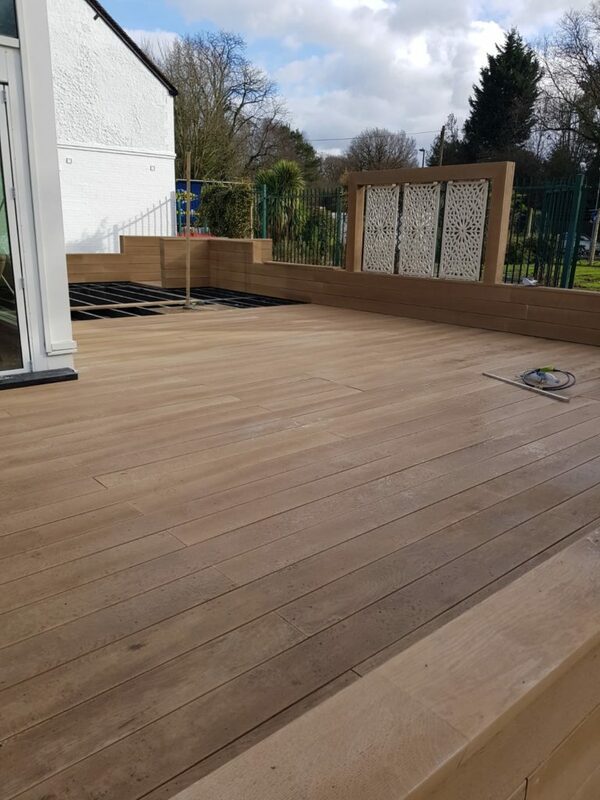 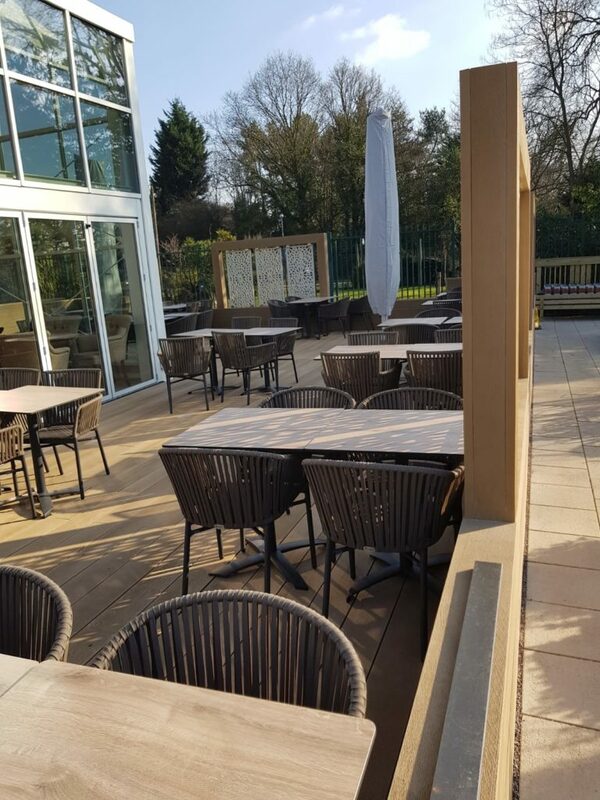 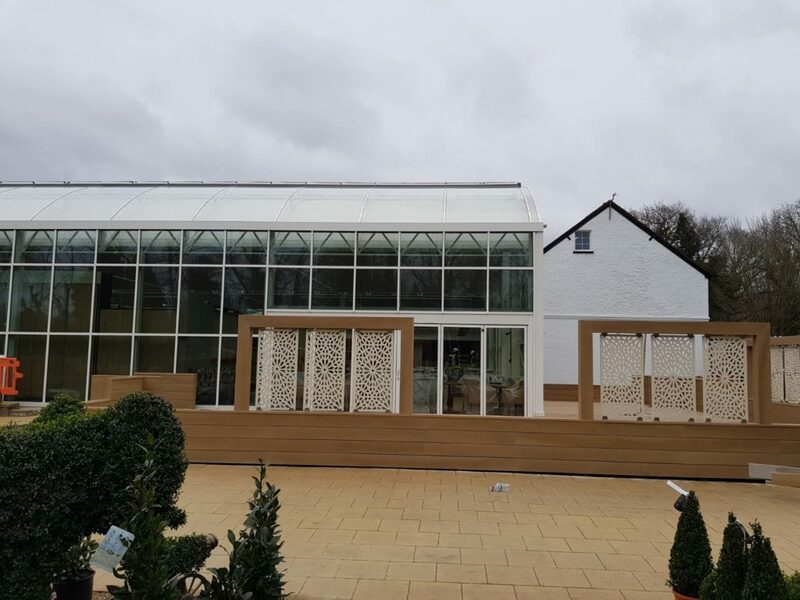 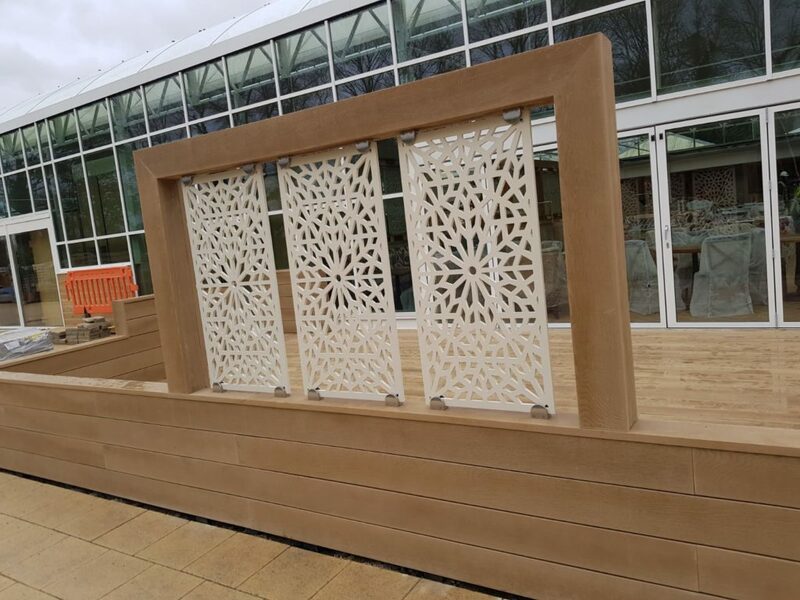 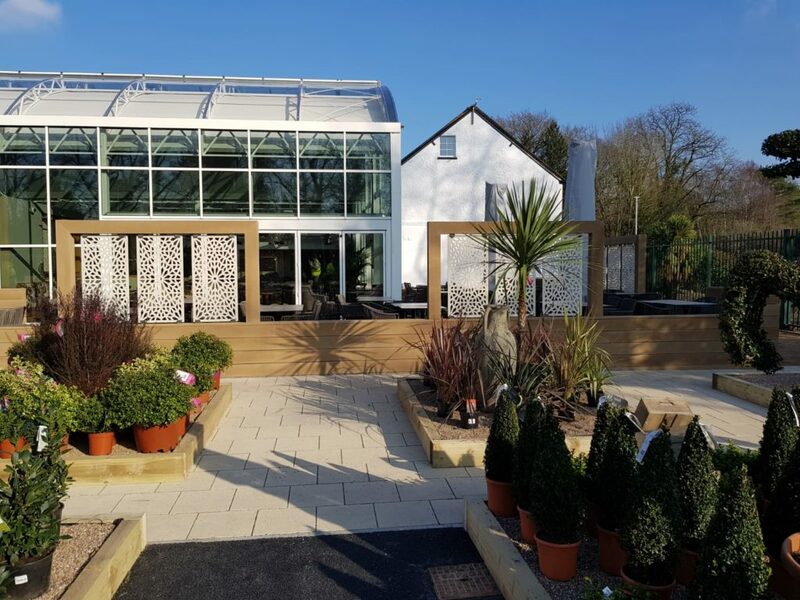 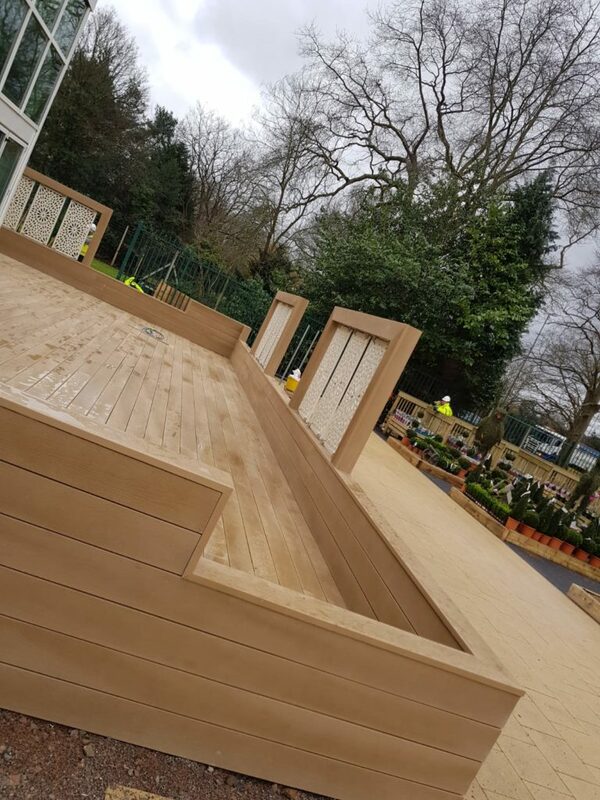 With all aspects of steps, designs, envy panels on composite screens and with alldifferent shapes and sizes available, we have the knowledge to advise you on all your decking needs. 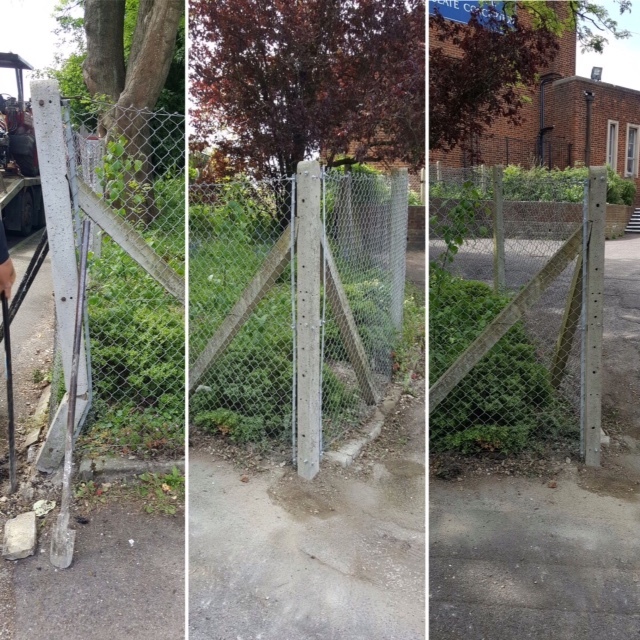 We can assist if any chain link around your workplace has been cut or damaged. 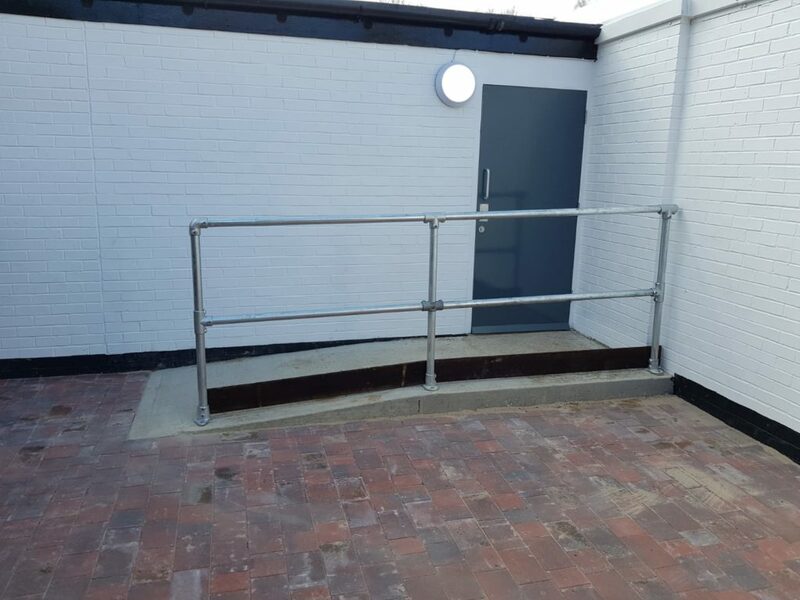 We will firstly always try to repair, but will obviously replace if this is the best option to keep your property and works equipment secure.